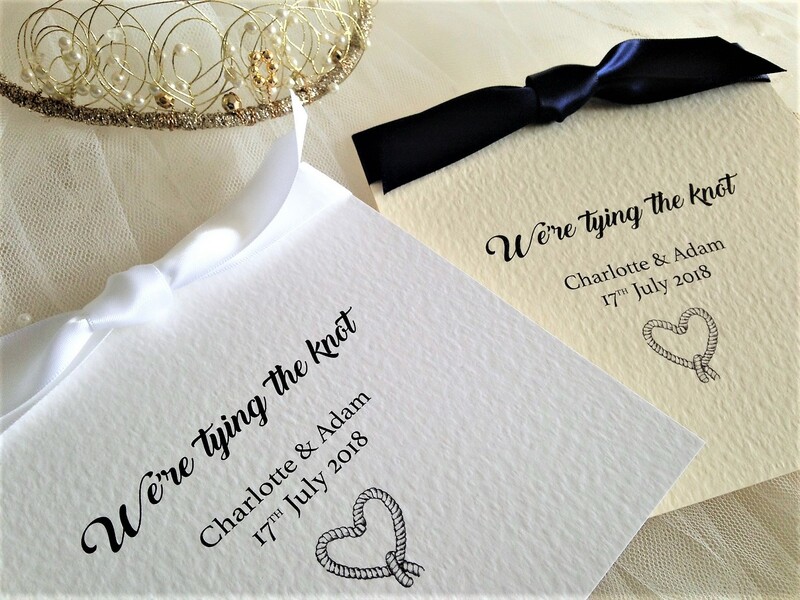 Tying The Knot Wedding Invitations. 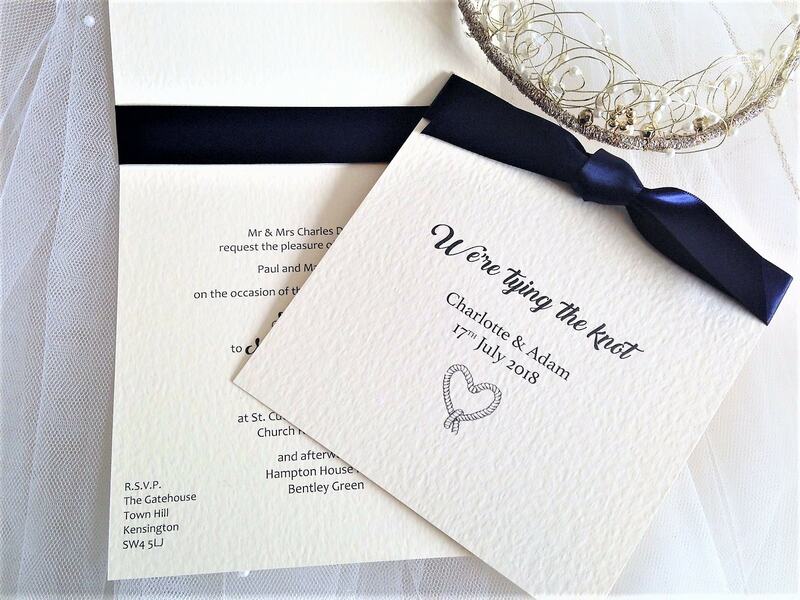 Beautiful personalised wedding invitations supplied on a thick heavy weight (270 gsm) hammered card and available in either white or ivory. 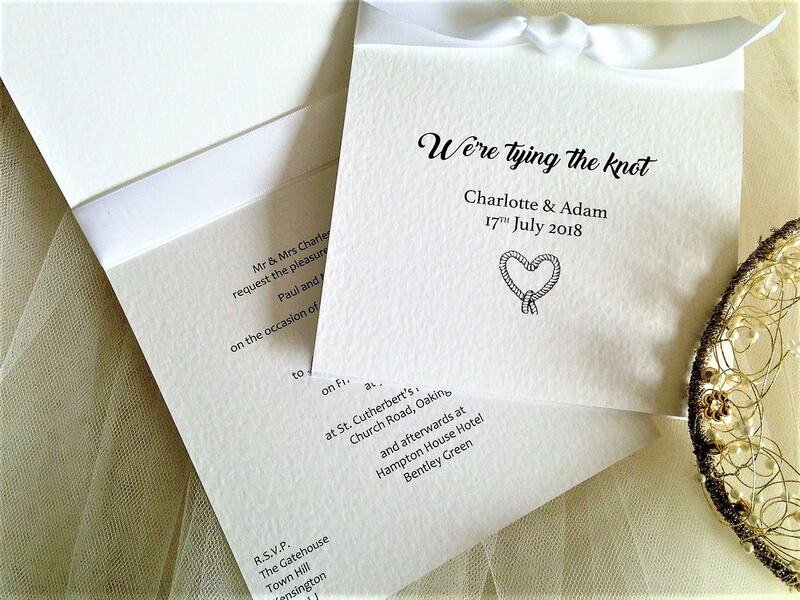 Tying The Knot wedding invitations are supplied with a matching hammered envelope and we can print your guests names free of charge (this is optional). The attractive rope heart on the front is only available in black as shown. 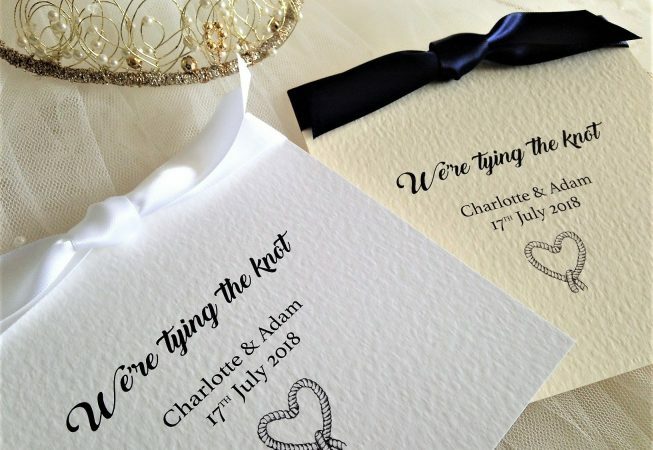 Please note these are fully assembled wedding invitations. 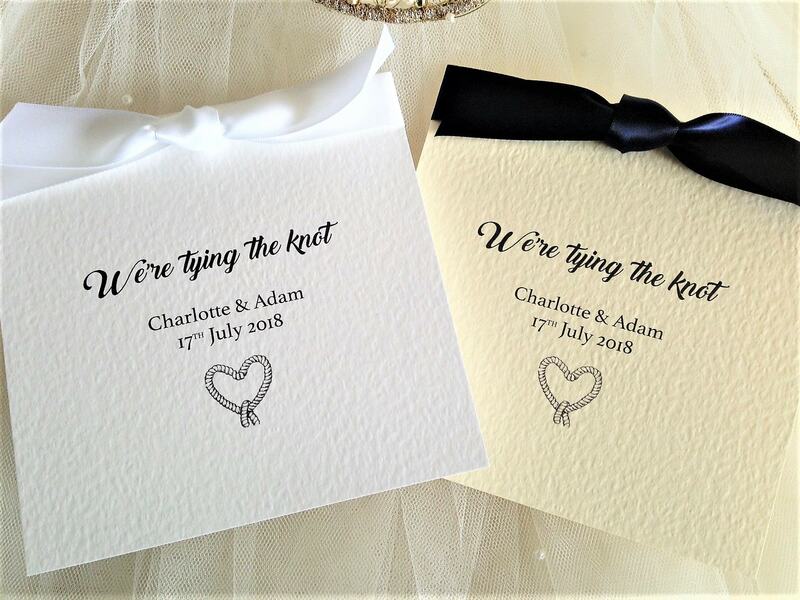 The ribbon will be tied onto the card before despatch.